Near Miquihuana, Tamaulipas. This is the view of the lower mountain side habitat one encounters on the road between the town of Miquihuana and the conifer forest near the mountain top. The area is amazingly rich in reptile life. 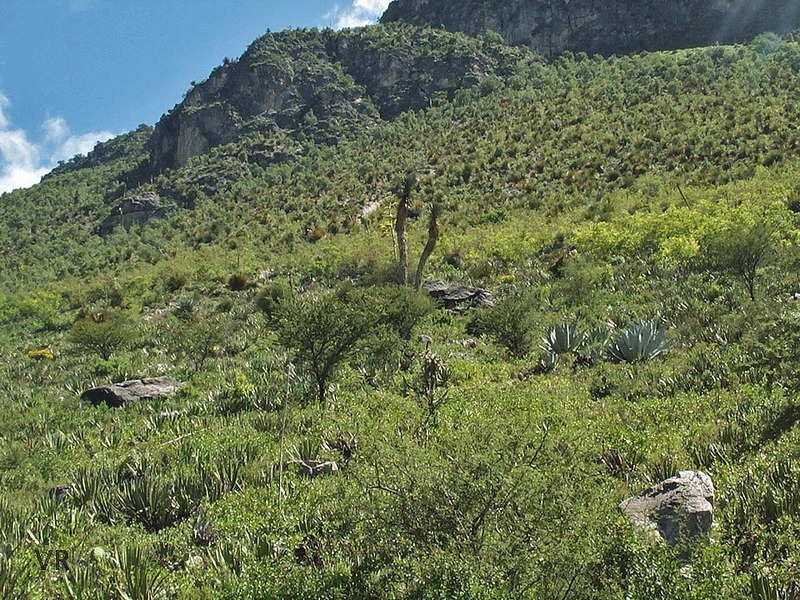 In the habitat featured in this photograph, Mexican Mountain Pine Snakes and Variable Kingsnakes live side by side.